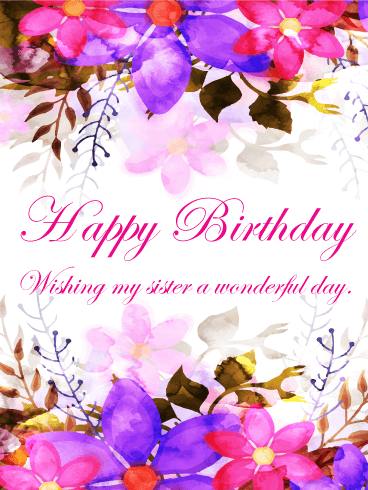 Happy Birthday - Wishing my sister a wonderful day. 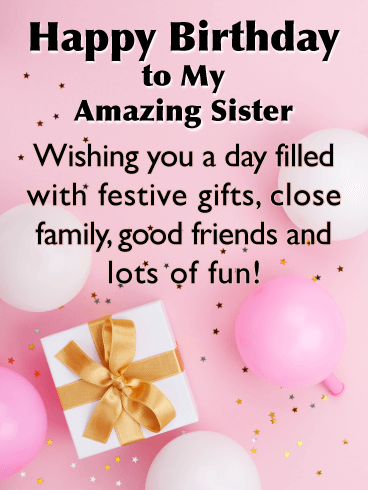 For your sister, that one woman who's been there for you through thick and thin, this birthday card reveals how you feel. 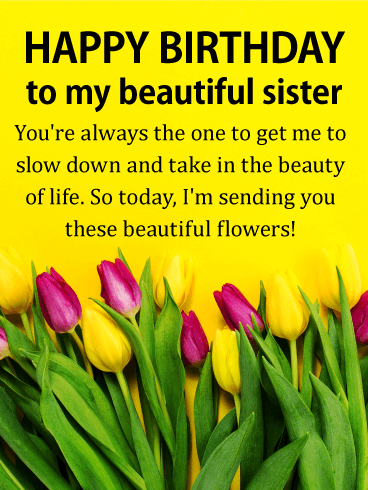 She deserves the best life has to offer, and now you can tell her with this birthday card. 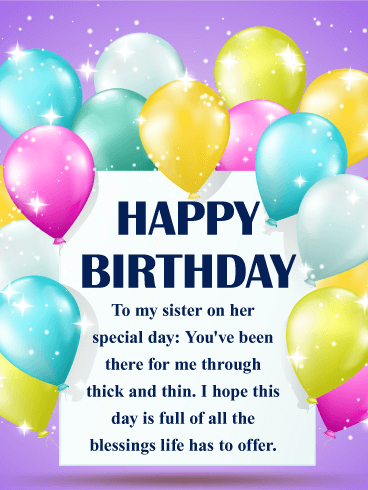 Send her birthday greetings surrounded by a rainbow of colorful balloons on a purple background with this birthday card. Is your sister a princess? 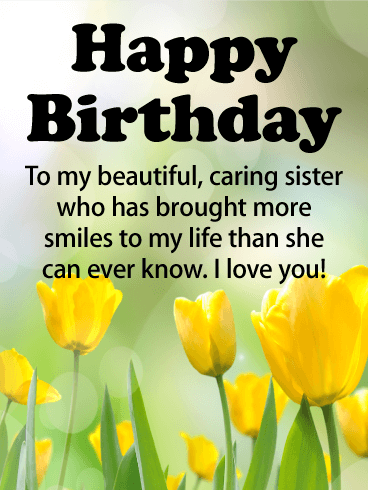 Then this birthday card is for her. 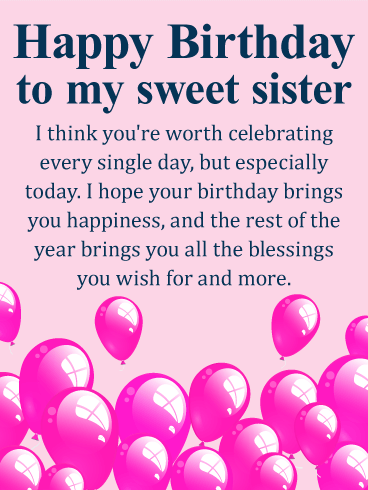 Wish her lots of love and all the blessings that this day can bring with a birthday message on hot pink is surrounded by balloons of pearly pink, purple, and rose. The entire scene sits on a background of violet. 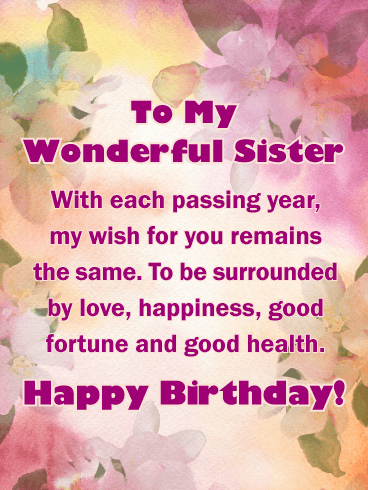 On this, your sister's birthday, wish her all the love and happiness life has to offer today and every day. 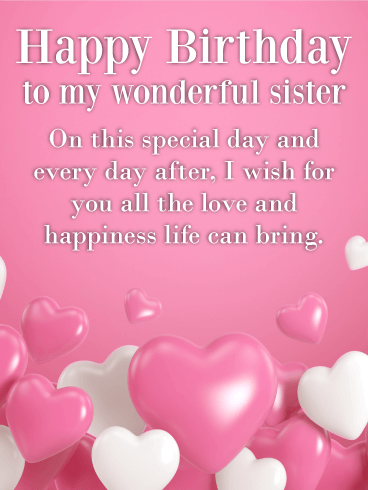 This birthday card harkens back to childhood with a pink background and pink and white balloon hearts bouncing on the floor. Brothers and sisters share a special relationship full of good-natured teasing that never quite ends, even when they grow up. 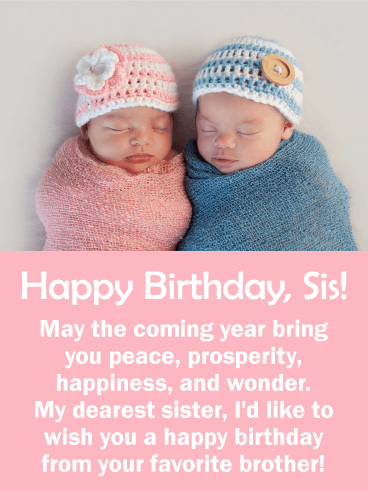 This birthday card for your sister (from her favorite brother, of course) reflects that special relationship that only siblings share. Boy and girl babies swaddled snugly and sleeping peacefully cuddle together over a good-natured message ribbing your sister. This is a sweet birthday card for a woman you know is worth celebrating every single day. 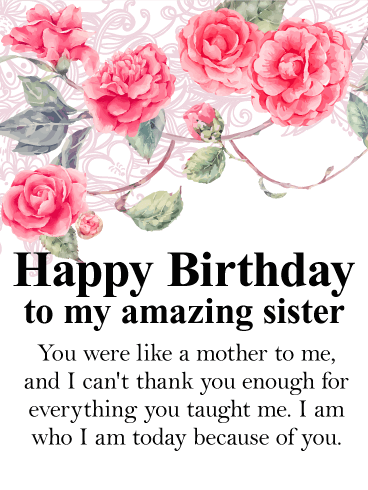 On her birthday, make sure your sister knows how you feel about her. 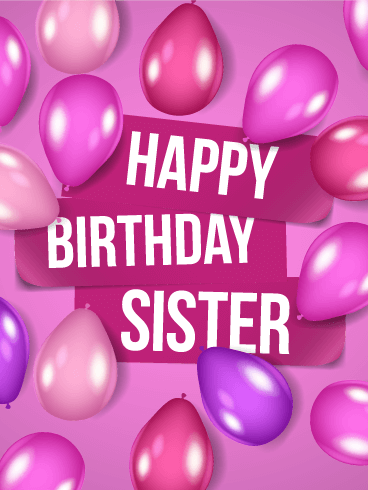 This birthday card features an abundance of balloons in hues of blue, purple, pink and red set on a pink starburst background. The image of two sisters skipping along a beach brings back memories of childhood vacations and lazy summer days. 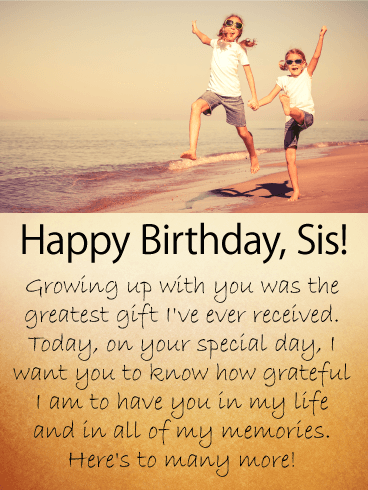 Remember the best of times growing up with your sister with this birthday card. It features two young girls holding hands and skipping carefree in their shorts and matching shirts and sunglasses along a beach. 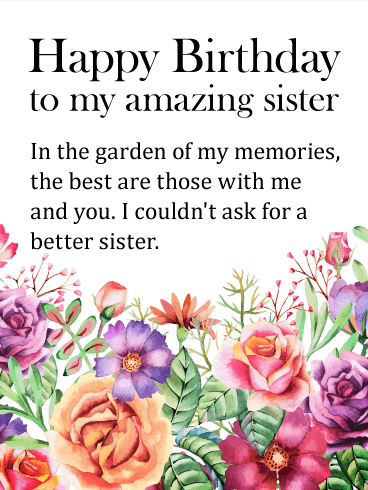 Your sister’s birthday message is on a golden background matching the nostalgic feel of the photo.